I Go to Mizzou, and I Attended Class Today. That statement should not be anything out of the ordinary. My purpose at this school is to gain an education and prepare myself for a life beyond the walls of an educational institution. However, today students feared that attending class could cost them their lives. Mizzou has been the subject of national media attention these past few days. Long story short, there have been some protests revolving around graduate student benefits, Planned Parenthood funding, antisemitic acts, and several incidents of racism on campus. 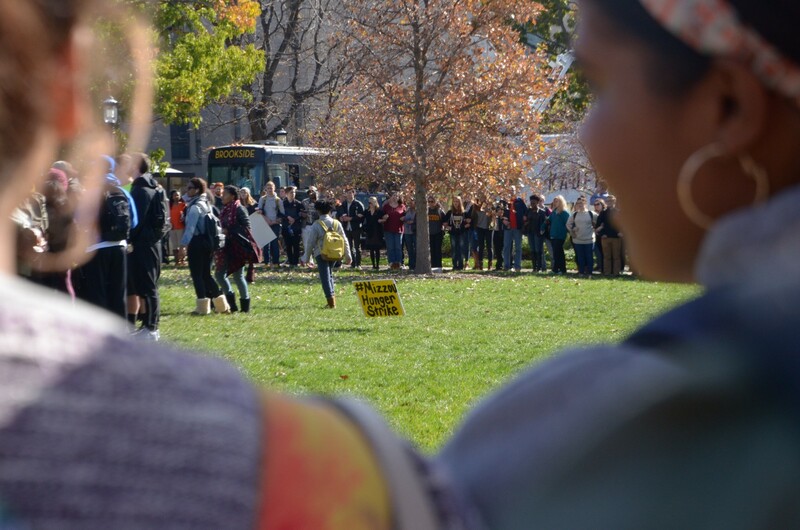 The goals of the protestors involved getting University of Missouri System President Tim Wolfe to resign from office. This began with a hunger strike then continued into a campout, some peaceful marches, and a teacher walkout. I personally covered this walkout and rally for my journalism class. I was there when it was announced that Wolfe resigned. I saw the celebrations. 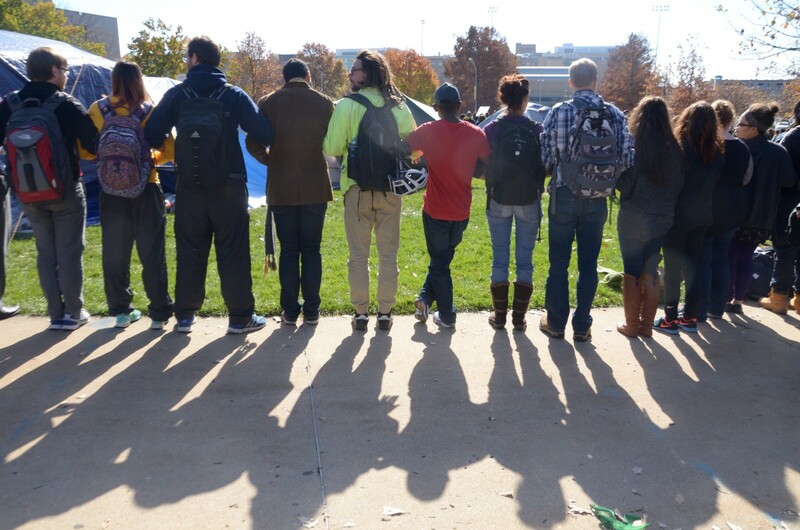 Since then, the Chancellor of Mizzou has resigned and a few others have lost jobs over their acts in the protests. Here’s what happened next. Someone threatened our beloved campus via the anonymous social media application Yik Yak. The threats seemed to be targeted at shooting black students on campus. Then things spiraled quickly. Some people started driving around campus harassing black students who were still there in the evening. There were rumors of the KKK being on campus. Students said they were scared for their lives and fleeing campus. Everyone was terrified for what may happen at class today after last night’s fear. Today campus was empty. My 300 plus person lecture at 9 a.m. had maybe 80 students in it. I had labs with five to nine students present. Campus had an eerie, empty, quiet chill over it. Few minority students were present. I would estimate maybe a fifth of the total population showed up today. It felt like the entire campus was holding it’s breath, waiting for something terrible to happen. Here’s what happened: Nothing. And praise The Lord for that. The police caught the Yik Yak culprit, a student who does not even attend our university. His slew of scary posts sent a campus into a frenzy and he is not even a member of it. This was domestic terrorism. Here are the things I have taken away from this. It is amazing that our generation has a voice and can get things accomplished together. I am proud of our students for uniting, at least for a while. We need more purpose. The movement appears to lack goals. This is my opinion. I apologize if it is not yours. So Tim Wolfe is gone along with many others, what now? One man alone could not solve racism. That is something that lives in a person’s heart and makes it dark. Wolfe could not personally change people’s hearts, and the next president won’t be able to either. Change is not immediate. It takes time. We need to figure out how we plan to go about creating that change. Change does needs to happen. We live in a world were everything is instantaneous and we expect those kind of results. This circumstance is not like that. This has been an age old battle that is coming back into light. We need to pray for the hearts of those who cannot love each other. Social media is both awesome and dangerous. 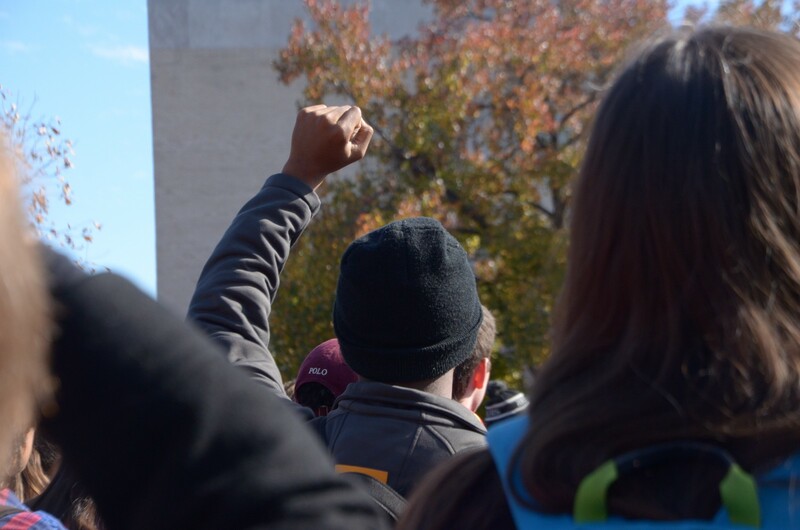 These protests were successful largely because students could unite and have a conversation over social media. (Please see #MizzouHungerStrike #BoycottUM #ConcernedStudent1950 #BlackOnCampus) But social media also brought on the mass hysteria that was last night. Anonymous applications should not be a thing. (My own opinion once again.) People were able to spread fear and panic without being held accountable for it on Yik Yak. Then, everything was spread further via Twitter. Yes, Twitter is how I stayed informed by administration and police, but it is also what spread the unconfirmed rumors that created terror. 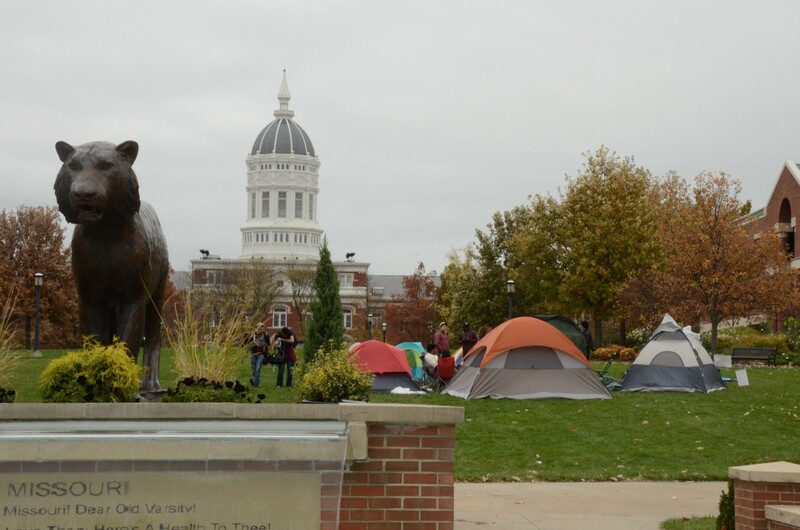 Students left campus and Mizzou altogether because of this rapid spread. It is great that messages get across, but not when they are dangerously fabricated. We need to realize the power of the technological tools we have in our hands. We also need to use social media as a way to build up and encourage others. I would much rather see my timeline filled with joy and triumph instead of anger and terror. The actual media was not helpful. I am a journalism student, and I am saddened by what I saw in the media. We had the nation’s attention while the protests were happening, but where were they when we were fearing for our lives? They had left. The story was over. They were safe at home. A journalist’s job is to bring ALL of the news and to inform the public. Many of the stories I see circulating are grossly over-sensationalized. The voices of the students need to be more present in the stories. I was interviewed by a reporter from the Associated Press. He used very little of what I said, and made general statements that made me sound uninformed. I am not uninformed. I am present on this campus and covering the story as well. No one outside of this campus really knows what it is like to be present here. The media just spreads the horrible things, not the small triumphs of students sticking together. The nation now sees Mizzou as a racist hot bed. That’s not how I see the school I love, and I know many others agree. Yes, we are in a difficult time at the moment, but we cannot let it define us. We are an institution of tradition and excellence. Our students are achievers. A few bad eggs are getting us a really bad rep.
What I’m getting at is that I want the nation to know something. We are here. We are okay. We are recovering. We do not want to be defined by the actions of few, but by the voices of many. We want to be able to walk to class safely and not worry about our friends. Please do not form opinions about us from one or two media pieces. The media cannot encompass the true story. We really do love and support each other. We will come out of this stronger than before. We have learned we can create change and overcome instability. When students do not feel they are being led correctly, they become the leaders. 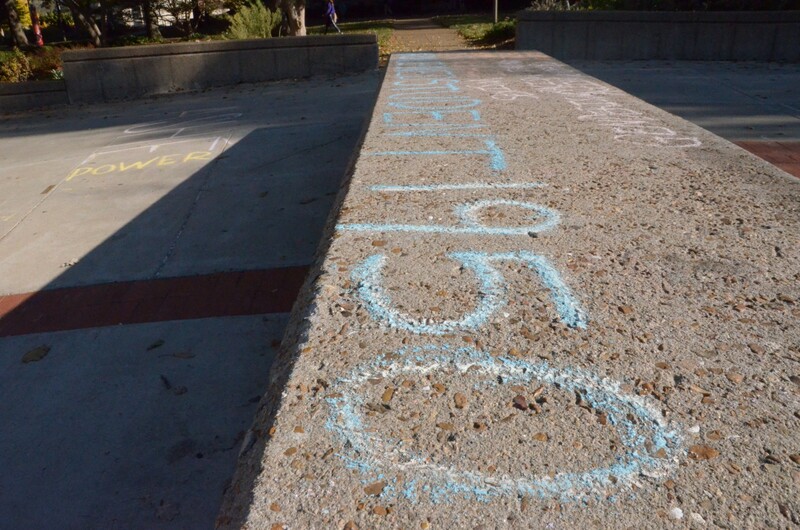 Not every person on the campus agrees with each other. Opinions differ about the actions taken and what actions should be taken moving forward. That does not mean that we are not standing as one. Adversity will not impact what we achieve today, this week, and in years to come. This event is a defining moment in our education, but we can learn from it and move forward. I go to Mizzou, and I attended class today. And I will attend again tomorrow. All photos, words, and opinions are my own.